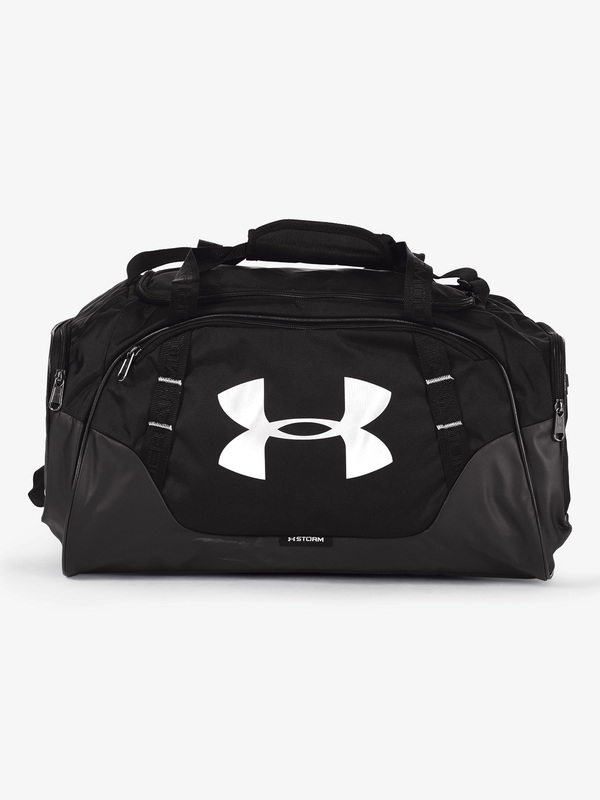 Whether you're traveling for competition or you're headed to a workout class, this bag offers the perfect amount of room for all your necessities. 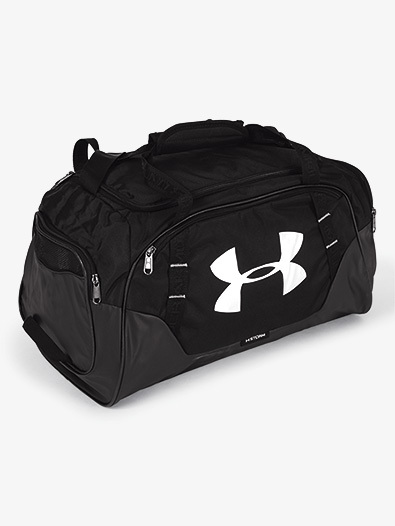 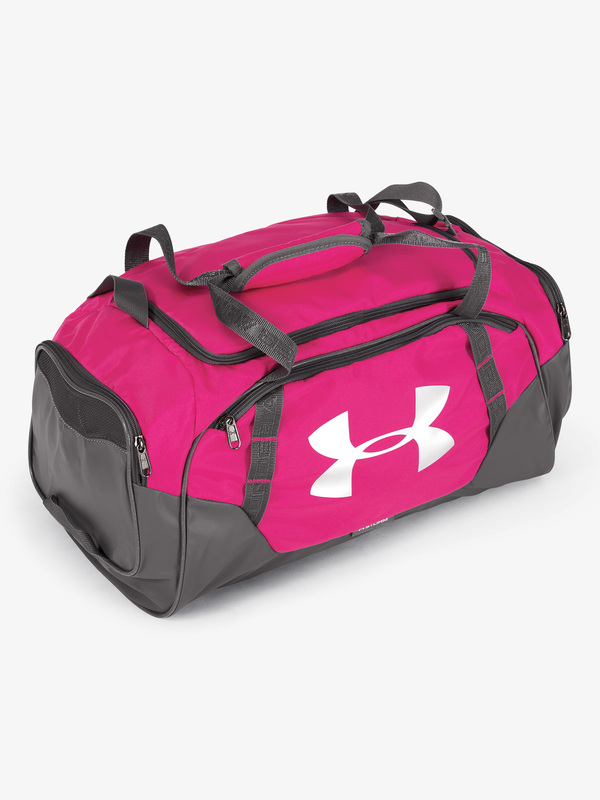 Bag features an oversized front logo, padded top grab handle, adjustable, padded shoulder strap, outside pockets with shoe pocket and inside mesh pocket, bottom and side panels, and durable material that is engineered with UA Storm technology, making it abrasion and water resistant. Size: 21.4" x 10" x 11.1"